Although the Audi Q8 unveiled a few weeks ago at the North American International Auto Show is a concept vehicle by definition, it certainly provides a host of useful information including Audi’s future design language as well as the German automaker’s ambitions when it comes to luxury sport utility vehicles. 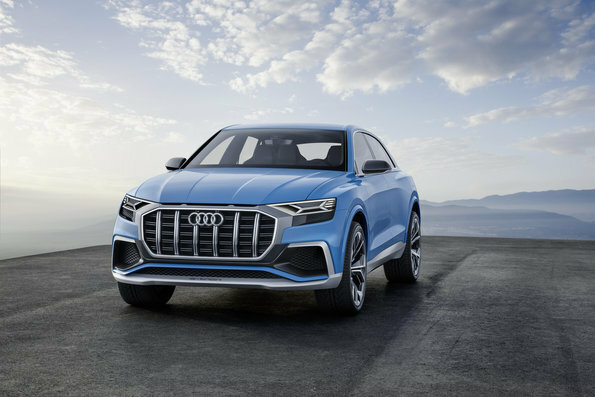 The Audi Q8 Concept isn’t far from production, and when it does hit the market Audi will have a serious competitor in the premium luxury sport utility vehicle segment. Think of the Audi Q8 Concept as Audi’s range-topping SUV. 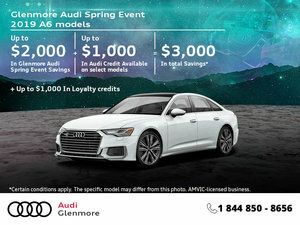 In other words, it will be to the SUV lineup what the A8 is to its vehicle lineup and offer the very best in terms of safety, connectivity, technology, luxury and performance features. It’s expected to go on sale by 2019 and will include a host of driver assistance systems, a range of powerful yet efficient engines, plenty of interior space despite its coupe-like design, and a perfect combination of sportiness and high-end comfort. From a design standpoint, the Audi Q8 takes away many styling elements seen on the famous Ur-Quattro of the 1980s. Its stance is wide and powerful, yet it is also very refined. Along with the Audi Q8 Concept, Audi unveiled two other important models which should hit the market later this year. The first is the new Audi A5 and S5 convertible trims which feature a retractable roof that can open and close in 15 and 18 seconds, and that can be operated all the way up to 50 km/h an hour. Built on a new architecture, the Audi A5 and S5 convertible will be 40 % stiffer than the outgoing models, and they will also be lighter by about 55 pounds for the A4 convertible and almost 100 pounds for the S5 convertible. Audi also took the wraps off the all-new Audi SQ5 in Detroit. Based on the new-generation Audi Q5, the SQ5 is aimed at buyers who want versatility but do not want to compromise when it comes to performance. The new 2018 Audi SQ5 will be powered by a 3.0-liter turbocharged V6 engine that delivers 354 horsepower and 369 lb.-ft. of torque which should allow it to reach 100 km/h in less than 5.0 seconds. Like the 2018 Q5, the new SQ5 gets a host of new technologies including Audi’s new TFT 12.3-inch virtual cockpit. The SQ5 will also feature massage seats for the very first time. 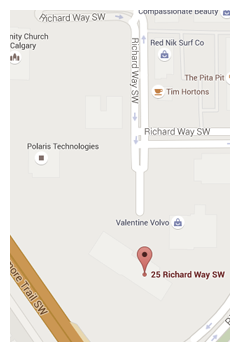 To learn more about Audi’s new 2018 models, or the current Audi lineup, contact us today at Glenmore Audi in Calgary, Alberta!